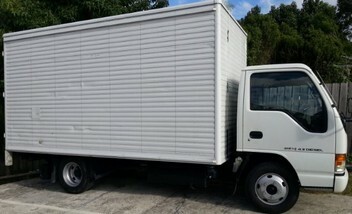 0212078198 / 096278876 Auckland moving services, small to big size household relocation services, office removal, cheapest airport transport service. Simply txt 0212078198 or email with the pick up and drop off address with the time ( two storied or higher building and too big or heavier item like piano, double door fridge, treadmill etc need to be mentioned)for a free quote. $85 per hour for two men and a truck, $70 per hour for driver + truck only, minimum 1.5 hours charged. call out fee (one-off): $40. Each flight of stairs will cost $20 extra. Thanks guys, Great job, and very affordable. Sorry about all the mess at the house that you had to climb over.. Highly recommended. Would use again. Excellent service. Turned up on time. Had a lot of blankets & sheets to protect furniture. Very fast service- didnt muck around trying to extend time or anything. Nothing was broken. Would recommend these guys & would use again. Cheers guys! These guys are awesome, moved everything quickly, efficiently and safely. Great value for money, highly recommend!! Punctual, efficient and reliable service at a very competitive price. Highly recommended. Thank you for your excellent service! These guys were extremely punctual, efficient, and pleasant to deal with. I had to pick up furniture from 3 different addresses in Auckland, one with very difficult access all on a rainy day, and it was done quickly and carefully, and at a very affordable price. I would definitely recommend to anyone. Wonderful service, Fast friendly and reliable. A job well done. Thank you very much. Happy with everything. Will recommend. If you speak mandarin that will come handy. Very prompt and efficient service at a great rate. You won't be disappointed if you use these guys A+++. Excellent service! highly recommend, keeping them in my phonebook! Thanks. Very good service, easy availability, no long bookings required, very reasonable priced, would use again and recommend the friendly service. Excellent service. Arrived way ahead of time. Very smooth, professional & hassle free moving. Helped in getting my stuff to the room efficiently. Highly recommended. Thanks for helping out. Excellent service, HIGHLY recommend. They were prompt, friendly and efficient. Thank you so much. Will save you as a seller so I can recommend you to family and friends. Fantastic and great service, competitive low prices and on time! Highly Recomended! Outstanding if you are looking for a furniture removal service. Highly recommended!